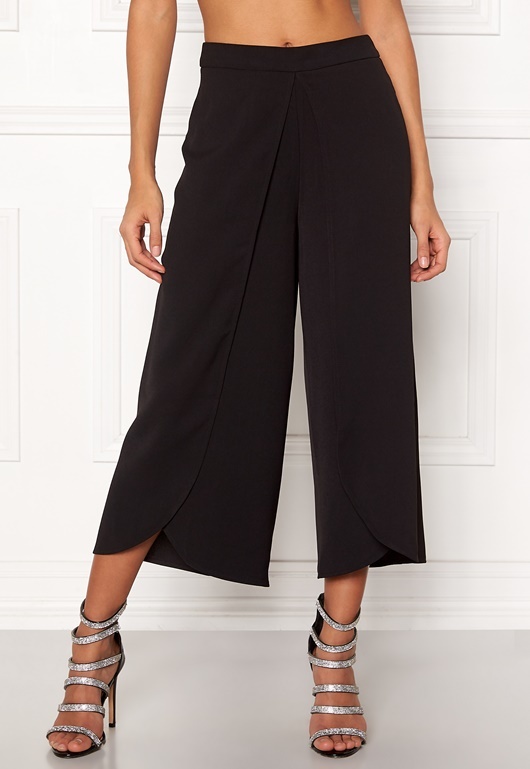 Elegant culottes from ICHI. 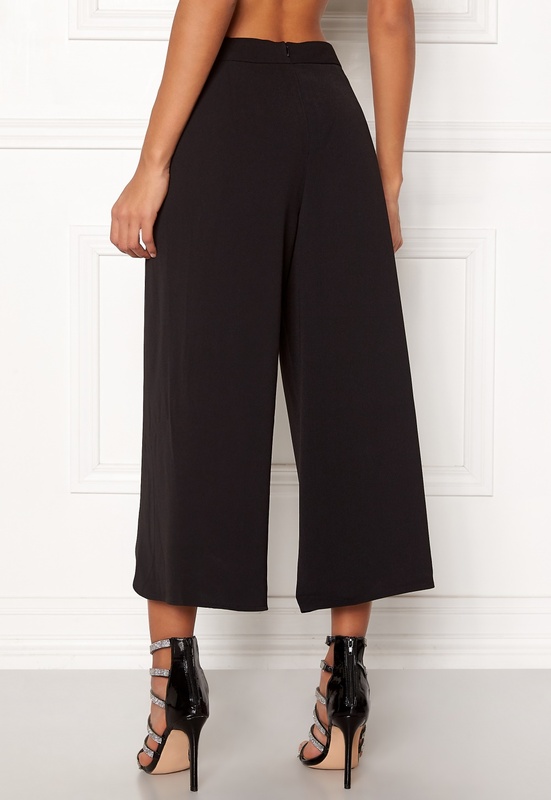 The pants have a lovely drape with wrap style ankles. The pants are perfect for both everyday and party wear. - Nonstretch, woven quality - Concealed back zipper - Wrap style ankles Inside leg 55 cm, front rise 32 cm, waist 74 cm in size 36. The model is 176 cm tall and wears a size 36. Machine wash at 40 degrees.